We’d love your help. 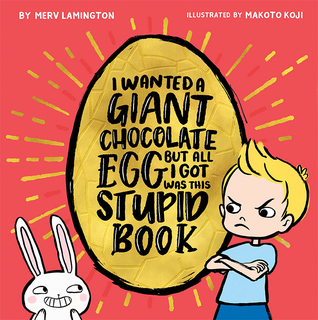 Let us know what’s wrong with this preview of I Wanted a Giant Chocolate Egg but all I Got Was this Stupid Book by Merv Lamington. To ask other readers questions about I Wanted a Giant Chocolate Egg but all I Got Was this Stupid Book, please sign up. An eggsellent book for the perpetually disappointed kids of Easter - the ones who suffer carob offerings, GV, nut-free, vegan, dental-disasters, sick canines and more. Cracking good fun (sorry).